Stylish and Sentimetal. 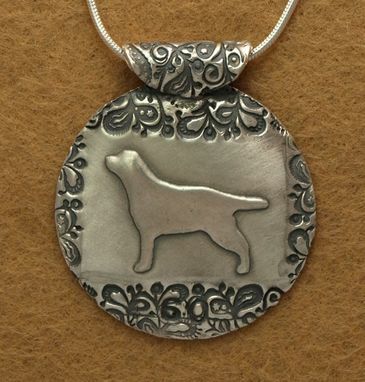 This beautiful Necklace features a simple silhouette of a Labrador with an abstract paisley border. 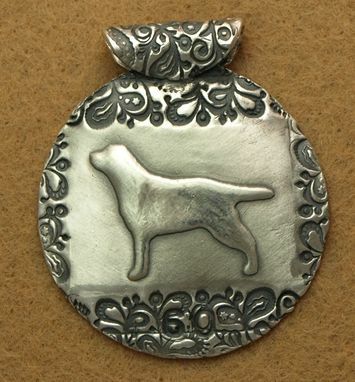 Hand-crafted with 99.9% and 92.5% Silver.